UK: Liverpool-based sound, lighting and AV supplier Adlib is celebrating a highly successful summer of festivals. The company has been involved with various Cream live activities since the superclub exploded onto the dance scene in the early 90s and has continued to be a major influence right at the epicentre of rave culture. This year Adlib supplied sound and lighting to three arenas, the Cream Mega Arena, the Curve Arena and Hospitality, with production overseen by Ian Greenway production manager from LarMac LIVE. Adlib’s Ian Tomlinson designed three stunning, dynamic and flexible production ‘house’ lighting rigs for the three areas each to bring a different ambience to the respective space. The event organisers again upped the production values site-wide this year, and the enormous Cream Mega Arena was headlined by Armin van Buuren on the Friday, Knife Party and Alesso on Saturday and Axwell & Ingrosso on Sunday. The lighting design incorporated over 200 moving lights including Martin MAC Vipers and Quantum Washes, Clay Paky Mythos and Stormy LED strobes and the massive audience was involved in all the action throughout by lighting on two 200 metre long trusses traversing the length of the venue. Ryan Hopkins was Adlib’s lighting operator, running a grandMA2 full size. Adlib’s crew of 12 included a changeover team who re-rigged Saturday and Sunday to accommodate a complete new incoming rig for Axwell & Ingrosso on the Sunday, designed by their LD Rob Lister. Adlib’s overall Crew Chief of lighting & sound was Kevin Byatt and the Lighting Crew Boss on site was Rob Starksfield and they all worked closely with Mike Oates from LCR, who was technical production manager. The idea in CF05 was to curve the production around half of the tent, following the contours of the venue and the imposing video wall. Lighting comprised Robe LEDBeam 100s and CP Sharpies together with LED battens, all rigged on the scaffolding structure also supporting the LED video wall. Four audience trusses were fully populated with MAC 700 washes and spots, all run by Charlie Rushton and Paul Crompton utilising the two Whole Hog Full Boars and two Avo Pearl Experts supplied for control. The Hospitality area comprised three saddlespan tents with the mouths butted up together, an interesting space when it came to working out a coherent lighting scheme. Ian’s design was based around a circular truss flown in the centre, supported by all three roof structures. On this they hung Robe LEDBeam 100s and MAC Quantum Washes. The tent roofs were illuminated with LED Pars, and haze machines provided additional atmosphere. Lighting was programmed onto an Avo Tiger Touch console. These same three arenas were equipped with sound systems designed by Adlib’s Phil Stoker, all optimised to portray the fantastic line up of EDM genres. The system in the Cream Arena was Coda LA-12 with SCP-F subs and ViRAY delays and infills, which filled the tent beautifully giving a rich and resonant sound with plenty of body. 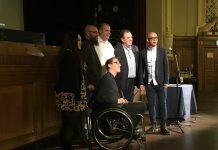 It was specified by Stoker and based on the system that has been provided for this venue over the past four years which has been hugely successful with artists, visiting engineers and the public. The FOH console was a Soundcraft Vi3000 mixed by Otto Kroyman who brought his fund of dance extravaganza experience to the party. Onstage a DJ monitor system comprised L-Acoustics dV-DOSC speakers and dV-SUBs for plenty of air movement and atmosphere. In CF05 the audio system was curved around the room to match the aesthetics, a substantial stack of ViRAY and SC2 subs were positioned either side of the DJ centrepiece to cover the near field, with rear fills of Coda LA12 and SC8 Subs placed at the end of the arc. The system was picked for its ability to be easily ground stacked and still sound awesome. Another Soundcraft Vi3000 console was used here, run by Steve Norman and Billy Bryson, with Adlib’s MP4 wedges onstage for DJ fills. In Hospitality another Coda system was installed, modelled on last years’ system which worked extremely well. This was also ground stacked LA12, with some smaller ViRAY boxes distributed around the tents for outfills. 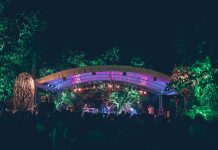 Cornbury 2015 was staged in the attractive leafy environs of the Great Tew Estate in Oxfordshire, with Adlib supplying lighting for the main and second stages. Production was generally stepped up this year with a 15 metre Orbit main stage from which Adlib sub-hung their lighting trusses. The lighting scheme itself was designed around headliner Tom Jones, who had his own lighting requirements featuring four upstage and downstage trussing fingers, which were slightly adapted to fit this specific event. This was the big challenge. Providing a good match for Tom Jones’ LD that would also work for all the rest of the artists appearing over the weekend and using the ‘house’ rig. Sixty moving lights were a mix of Clay Paky Mythos and Martin MAC Aura washes, plus 20 x new RGB Stormy strobes. The console was a grandMA2 with another running in full tracking backup and the five Adlib crew were chiefed by Rob Starksfield. The second stage featured a smaller system comprising of front and back trusses on wind-up stands and a series of vertical truss sections, loaded with Martin MAC 700 Wash and Spots. 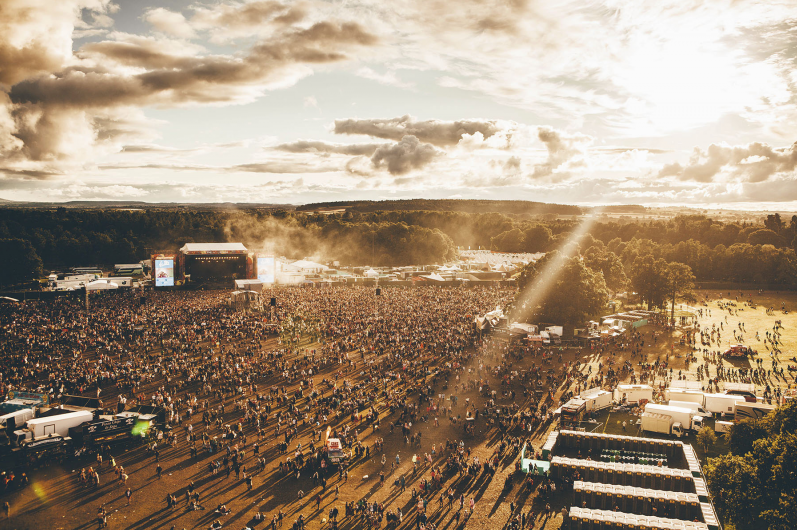 As in recent years, Adlib has supplied audio and lighting for the NME / BBC Radio 1 stage, the tented and highly respected second stage at each location of this historically significant festival. L-Acoustics K1 was specified together with an almost identical design for both sites, and a marginally larger set up for Reading. Adlib also supplied KARA speakers for the overspill stage / screen areas, which were outside both sides and at the back of the tent in Reading, and outside in the area behind the tent in Leeds, This accommodated those unable to get in during the most popular sets. The consoles were Avid Profiles at FOH and Yamaha PM5Ds for monitors, and six crew were deployed to each site to make sure everything ran like clockwork. Kenny Perrin was the crew boss at Reading and Sam Proctor in Leeds. This year was the tenth Kendal Calling, and it’s an event that everyone, “Properly loves and believes in,” said Phil Stoker. On the PA side, a collection of L-Acoustics, Coda and Adlib products were used site-wide to ensure that every performance space had the best sounding and most appropriate system possible! There were also a wide variety of consoles supplied. 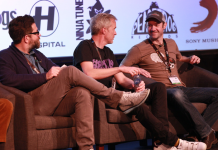 Adlib’s crew of 35 was chiefed by the multi-tasking Kevin Byatt working closely with organisers and producers, Ground Control and their production manager Dave Weeks. Challenges included the logistics of transporting gear to some of the more remote stages, a head-scratching exercise that Stoker takes in his stride as an integral part of what makes the festival unique. “The Adlib team is chosen specifically for its flexibility & reliability to deal with such challenges with ease,” he stated. The main Woodland Stage itself is a funky wooden hand built construction which looked amazing, but required some real thought in adding production technology without detracting from its quirkiness and character.